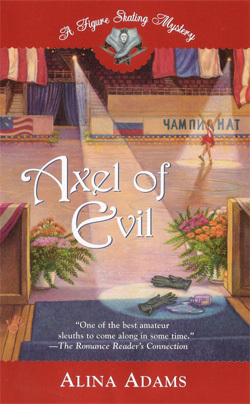 “As a person who has remained very active in the world of Figure Skating, there are many titles that I have held and which I am very proud of. I started working at my judging career in 1986. In 1994, when I just had no desire to compete any longer, I was a Senior Competition level judge and ready to start working at becoming a National and International judge. I was very involved in my career and enjoyed it thoroughly. 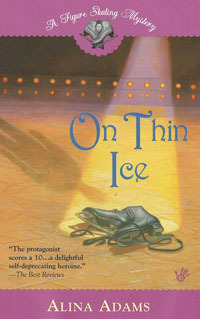 I made no effort to skate professionally until I got a phone call from Scott Williams asking if I would like to audition for the Torvill and Dean 'FACE the MUSIC’ tour. I thought I would give it shot. It all fell into place and I spent the next two years touring with Torvill and Dean. It was one of the best times of my life. I wouldn’t trade it for anything. My professional career, though short-lived, was more than I ever dreamed of." “Skating, by far, has been a huge asset to my life. The determination and drive associated with setting goals has been a part of my life always. The work I do is very project driven. I work in the Film and Television Industry. I am able to set timelines and goals and achieve those items and complete projects as required. I have also found that my employers have been impressed by my skating accomplishments as well as appreciating the focus that a driven competitor brings to the work place." 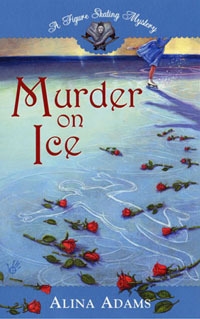 For a chance to win free copies of "Murder on Ice" and "On Thin Ice," visit www.AlinaAdams.com !